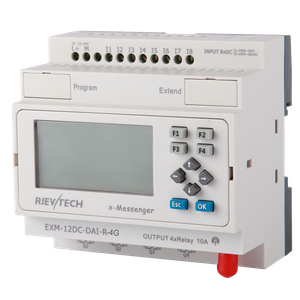 Telemetry Module- EXM series CPU is a device which incorporates functions of industrial PLC with integral LCD display, data logger connectivity and Modbus protocol converter which enriching it with robust wireless GSM/GPRS connectivity. Ethernet and RS232,RS485 ports are optional powerful tools, allows communicating with other devices thus further expanding resources available to be used by user. With compact, robust design, integral GSM modem, attractive technical features and easy to use configuration tools. module or expanded, make it possible to have direct connection of sensors, which lowers the cost of building system. Hence, it can directly work with humidity sensors, water level sensor, pressure transducers, flow sensors, smoke,gas, motion, shock and noise detectors, etc. Hence the EXM series module is an optimal solution for demanding wireless telemetry, control, diagnostic, surveillance and alarm systems. Ø Pre-configured standard functions, e.g. on/ off-delays, pulse relay ,counters ,Watchdog function, PI controller etc..
Ø Standard configure soft& Customized soft(Function block diagram). Ø Data logging ( optional accessory). 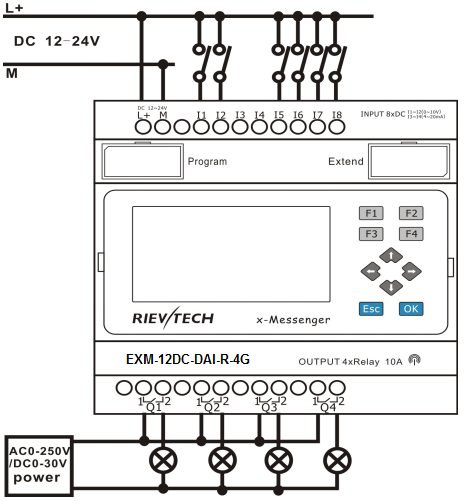 Ø Standard Modbus RTU/ASCII/TCP communication protocol supported. 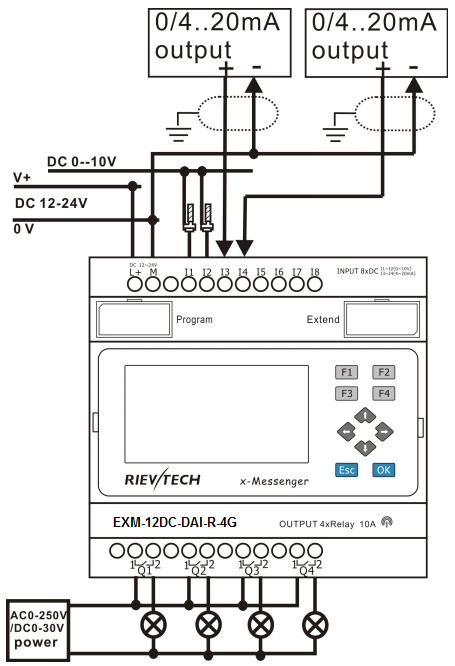 Ø It’s optional for x-Messenger to act as slave or master in certain Modbus communication network. 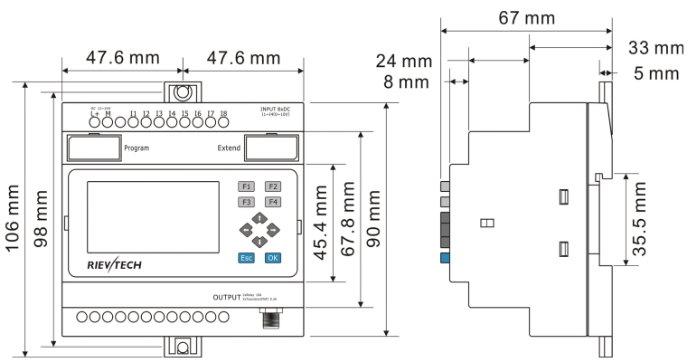 Ø 1 RS232, 1RS485 ports available. It’s optional for xLogic to be either slave or master in Modbus network.